Looking for a name that’s colorful and green? 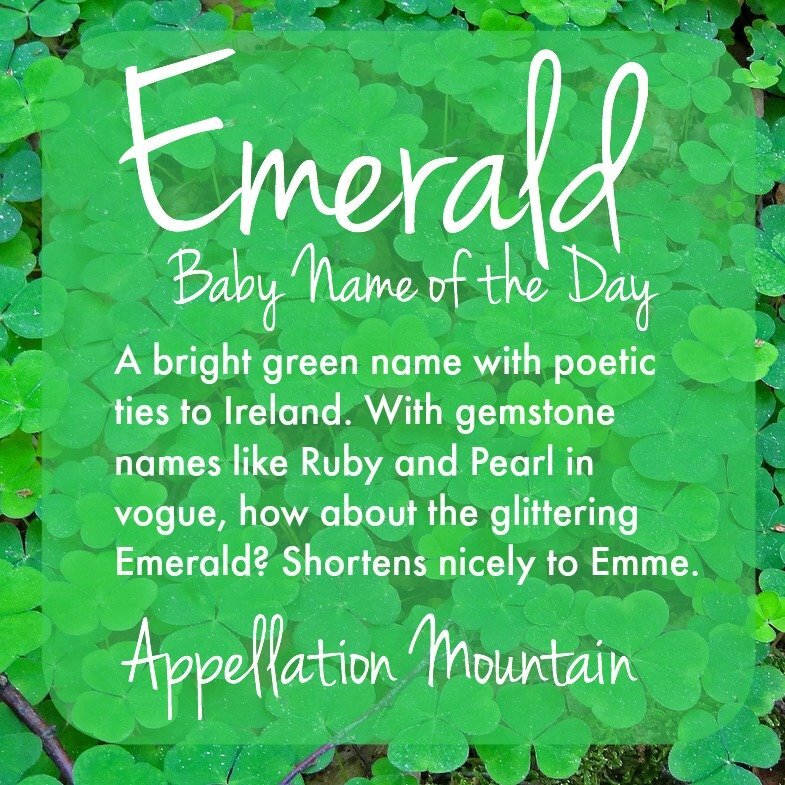 With a Happy Saint Patrick’s Day, our Baby Name of the Day is Emerald. Ireland is associated with shamrocks and the color green. Kelly green, yes, but also emerald – as in the Emerald Isle. It makes this colorful name a good possibility for a Saint Patrick’s Day-born daughter, or maybe a subtle nod to Irish heritage. But here’s one thing you won’t find in Ireland: the gemstone itself. The word comes from the Greek smargados – green gem, though it’s sometimes translated differently. It was used in the New Testament, and whispered down the alley into the Latin esmeraldus and eventually Old French, where it became esmeraude and eventually emeraude. The New Testament could have been referring to any green stone. But emeralds have been around for ages, mined in Egypt, India, and elsewhere since around 1500 BC. Today, most of them come from Colombia and Zambia, but they’ve been found in plenty of places. It’s the birthstone for the month of May, and it’s associated with Venus, the goddess of love and beauty. Another image that comes to mind: Emerald City, the capital of Oz, home to the wizard in L. Frank Baum’s enduring Wizard of Oz and the movie by the same name. It’s green and glittering, sitting at the very end of the yellow brick road. Dorothy and her friends journey there in hopes of having their problems solved – you probably know the rest. There’s no known reason why Baum chose emerald specifically for his city, though theories abound. So there’s Oz and Ireland, but are there any actual children named Emerald? More than you might guess. The American Maud Burke married a British lord two decades her senior and became Lady Cunard, a celebrated London hostess in the period between the two world wars. She was known as Emerald, but it was only a nickname. Between 1991 and 2002, Emerald actually ranked in the US Top 1000, though the name peaked at #765. What explains the name’s rise? It could be thanks to a minor character on Twin Peaks – Emerald, twin sister to Jade. Maybe it’s because so many Em- names were on the rise in the late 1980s and early 90s. Emily had just made it into the US Top Ten, Emma was climbing towards the Top 100, and Emilia was also on the upswing. Or was it just about the bling? Ruby was on the rise, as was Diamond. The Spanish Esmeralda would peak in 1998 at #133, thanks to Disney’s singing musical take on The Hunchback of Notre Dame. And while Emeraude is lovely, it’s only been used a handful of times in recent years. In 2013, 179 girls were named Emerald, along with 7 boys. And yet, Emerald doesn’t feel like a 90s name. Instead, Emerald feels like a name that hasn’t quite had her moment. If you’re a fan of Scarlett and Violet, Emerald might be a less popular alternative to consider. What do you think of Emerald? Is this name a logical successor to Violet and Scarlett? My husband quite likes Emerald – it was the name of a girl that delivered our pizza once and he commented on what a cool name it is. I also saw a birth announcement last year for a Zoe Emerald. I remember it because I kind of wish I’d thought of it first, I love it as a combination! I know an adult Emerald. She has a sister named Autumn. Emmy was a childhood nickname. Her name is typically pronounced with only two syllables… Em’rald. 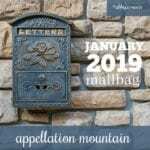 Great write-ups (as always), Abby! It’s so interesting to me how some gem names are considered classic or at least classy (Pearl, Ruby, Opal, Coral), and some are considered “stripper” (Sapphire, Jade). I think I prefer Esmerelda to Emerald, but my favorite massively underused gem name is Beryl. Yes – LOVE Beryl! It was on my list of names I wanted for myself at one point. 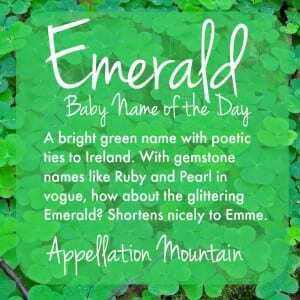 I think Emerald is awesome as a name. I do like Esmeralda more, but Emerald feels even more bold, and that’s exactly what I like about it. It seems I often see emeralds with some sort of square cut and I think that’s part of why it’s got a bold a feel to it. And I love Beryl also. It is partly realizing that it will sound to anyone, though, as though I’ve named my child barrel and not Beryl that makes me put it in the middle spot. I loved learning a new name!! Esmeraude, wow, incredible. I might like it even more than Esmeralda (if I could be sure of the correct pronunciation). But I loved Esmeralda from the Hunchback of Notre Dame long before the Disney movie. Such a wonderful novel, my favorite book ever. Emeraude is also nice.